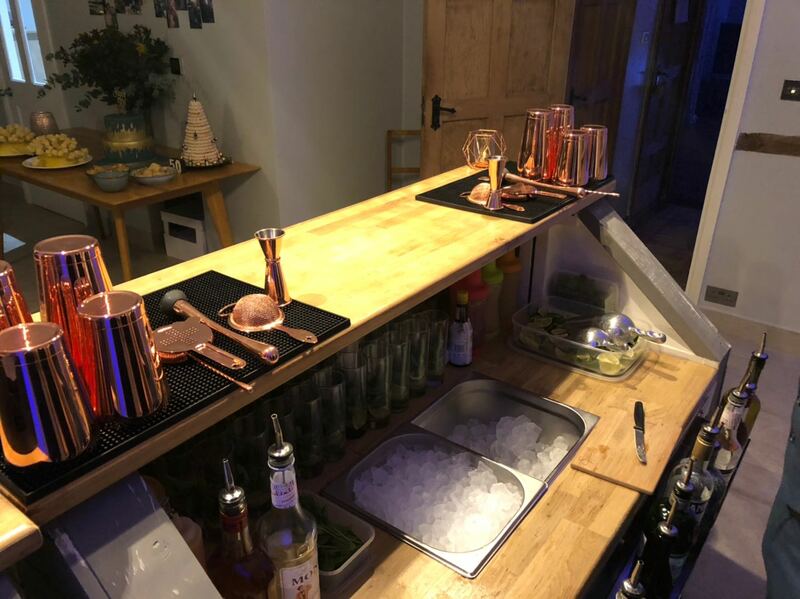 Three Piece were asked to help on a 50th birthday party at a home in Chesham, with only a matter of weeks to spare, as the catering company were only adding cocktails as an addition. 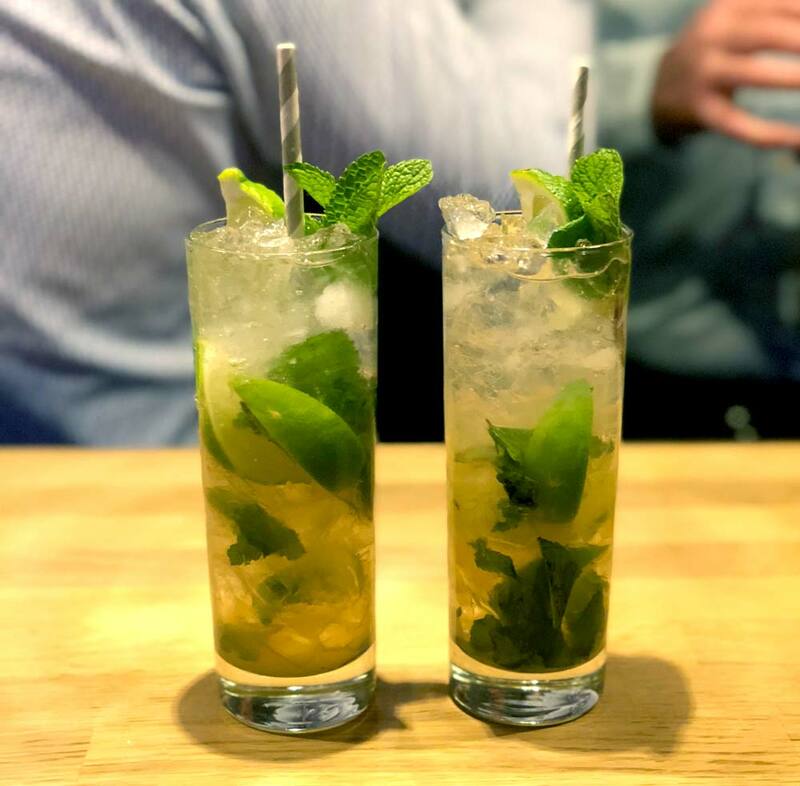 It was evident that the client wanted cocktails of a high standard to match the food service and was running out of time to plan and prepare everything needed. So we stepped in to help, with the sole focus of making the whole process as stress-free as possible for the client. Starting with an initial email thread, we sent through our private cocktail party brochure to make sure that our products are what the client wanted, accompanied by a cocktail menu. With this part agreed, we met the client in the evening at the venue location to examine the area for the best options regarding: parking, setup, layout, lighting, wastage, cleaning, and most importantly drinks service. This went very well and all the necessary questions were answered allowing us to move onto event preparation, which was two weeks away. The client stated that the guests were likely to drink a lot of alcohol, therefore we came to an agreement that we would serve our cocktails in two phases - canapé cocktails upon arrival & night caps for later in the evening. This encouraged lighter drinking at the start of the party with Mojitos & Bellinis, moving onto stronger drinks as the night progressed with Negronis, Old Fashioned & Espresso Martinis. The response from all the guests was very promising, as they appreciated that we obviously knew our trade, delivering cocktails tailored to all their tastes. Some Negronis came a little dry, some Old Fashioneds a little sweeter. During the whole order of service we had an extra bar set up on the side to serve beer, wine, bubbles and soft drinks on request, for the guests that wanted alternatives to cocktails. This helped to clear the space on the cocktail bar and encourage guests to move around the kitchen. Despite the kitchen being a beautiful, modern space with a large island, it was still very tight with 40 guests contained in one room. The majority of the guests were adults, aged 40+, arriving in couples on a minibus from a local town. As we were expecting the group to arrive all at once, we prepared every Mojito with fruit, sugar & mint to speed up the delivery process. This ensured that every guest had a drink in hand within 5 minutes of arriving and encouraged the party atmosphere. With a broad spectrum of drinks on offer, we were conscious that the bar could get over-crowded. Due to a lack of spare space in the kitchen (and to keep costs low) we chose not to use bar fridges. Instead we used extra large 142 litre ice coolers, hidden under the extra bar unit, which are able to hold over 24 bottles of wine and 48 beers comfortably at once. Inevitably the guests did drink a lot of cocktails, resulting in some of the ingredients running out. The hostess offered her home spirits and ingredients from the kitchen, allowing us to improvise the cocktails and continue delivering Espresso Martinis & Negronis right to the end of the night. Everyone was grateful that the drinks service didn’t decrease towards the end of the night and repeatedly thanked us for our hospitality. Three Piece learned that it is possible to turn over an amazing event within a matter of weeks, thanks to consistent communication by phone and a meeting at the venue. Though many emails were sent back and forth, phone calls helped to finalise details quicker. Thanks to the request of the client, we are now in conversation with local catering companies to create partnerships so we can deliver even better packages, pairing canapés with cocktail menus. This is in the initial stages but we are sure that we can find a solution to deliver food with the same confident smile as the drinks.